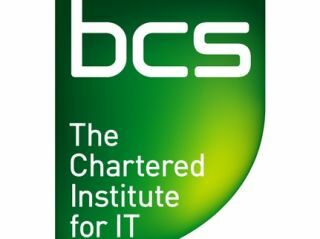 The newly-rebranded BCS, the UK's Chartered Institute of IT, is launching a new Academy of Computing this week, with the organisation's CEO criticising the level of IT education in British schools. BCS Chief Exec David Clarke, speaking at a London launch event this week, expressed his concern that Britain's 'best kids' are actively avoiding going into the IT profession. "IT in schools is taught very badly, so the very best kids are not going into the IT profession," said the BCS boss. "At those key ages of 12 or 13 kids seem to think all the work in IT is going to India or China," he added, or they are just of the opinion that IT is boring and "they don't want to work in an office." In order to address skill shortages in the UK's IT industry, the BCS's new Academy of Computing has been formed with the objective of creating "an integrated and coherent approach to advancing Computing across education, research and business." "Computing has joined disciplines such as mathematics, physics and medicine as one of the UK's foremost intellectual outputs," noted Dr. Bill Mitchell, BCS Director of the new Academy of Computing. "The subject is not only vibrant and growing, but more rigorous, more interdisciplinary, more experimental and more user-oriented than ever." The BCS Academy of Computing has been formed in partnership with key stakeholders such as CPHC (Council of Professors and Heads of Computing) and UKCRC (UK Computing Research Committee). BCS Chief Exec David Clarke hopes that the new Academy of Computing "will establish... a cohesive community that will actively promote an integrated, coherent approach to advancing the subject across education, research and business; ensuring the continued relevance and value of computing for society as a whole." "It is our ability to process, share and manage information which will determine the success of our society and our ability to face up to future challenges – social, environmental and economic," said Clarke. "We can only do this if we build an information-literate society. We need a high-performing IT education system, IT-literate policies, a respected and well-supported IT profession and a population with the skills and the opportunities to be active and informed citizens." Clarke added that he sees the BCS gradually transforming into a globally recognised 'Chartered Institute for IT' over the next five years.